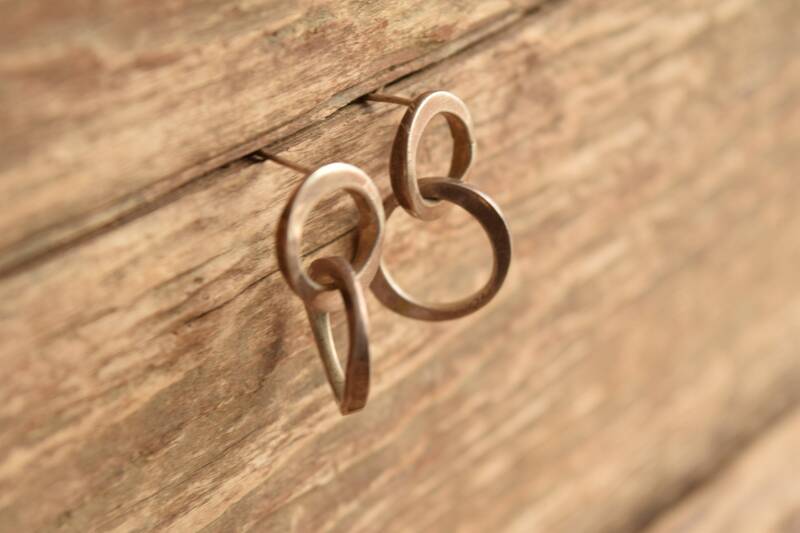 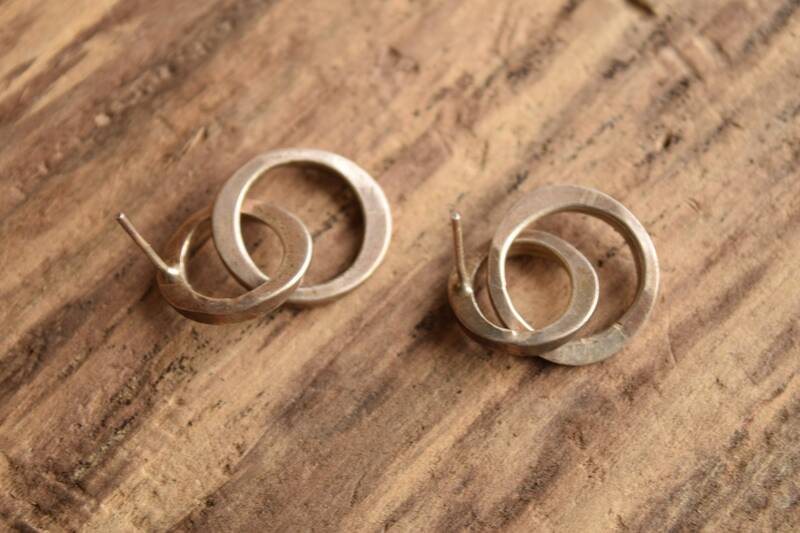 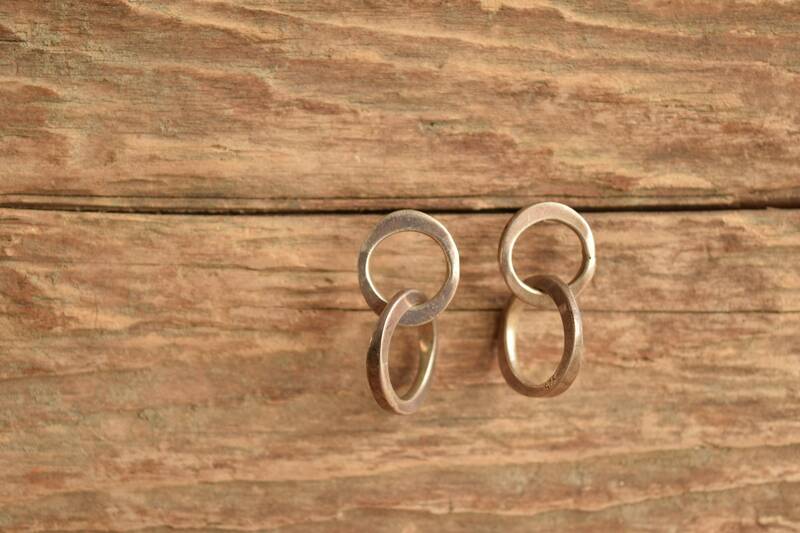 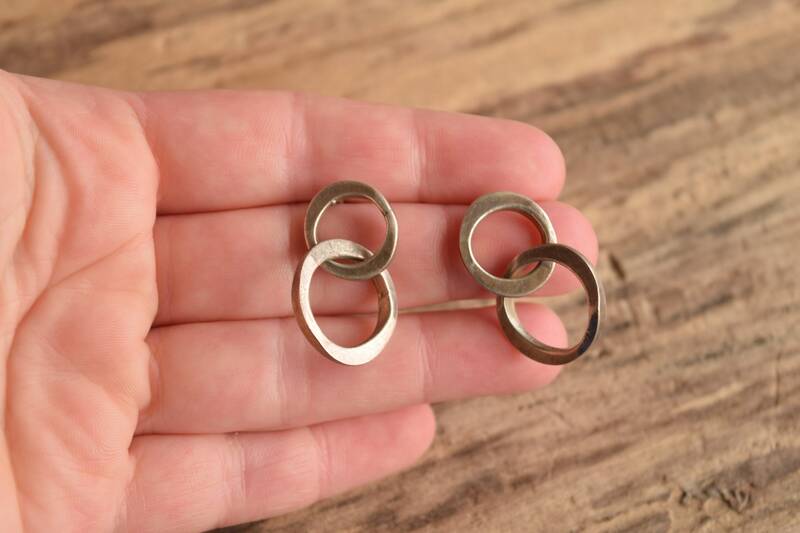 Casual and unique, these sterling silver double hoop earrings are wonderful for everyday or a night out. 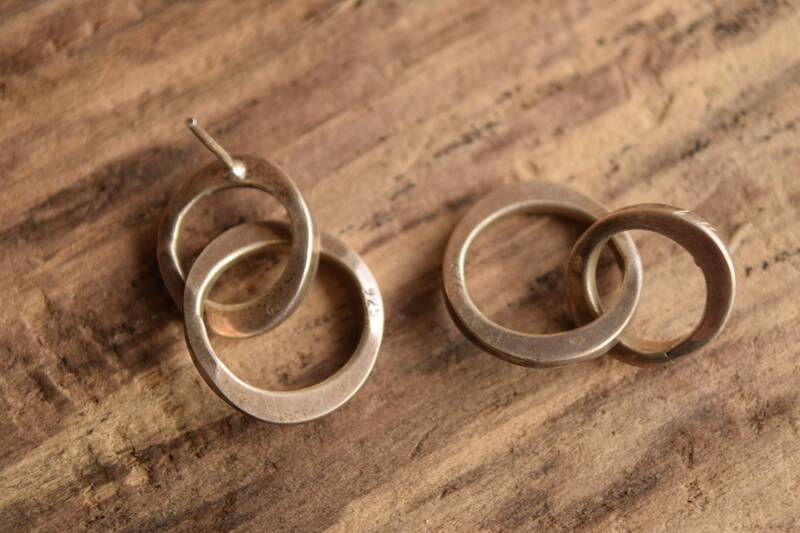 Condition: Light surface wear and some tarnish. 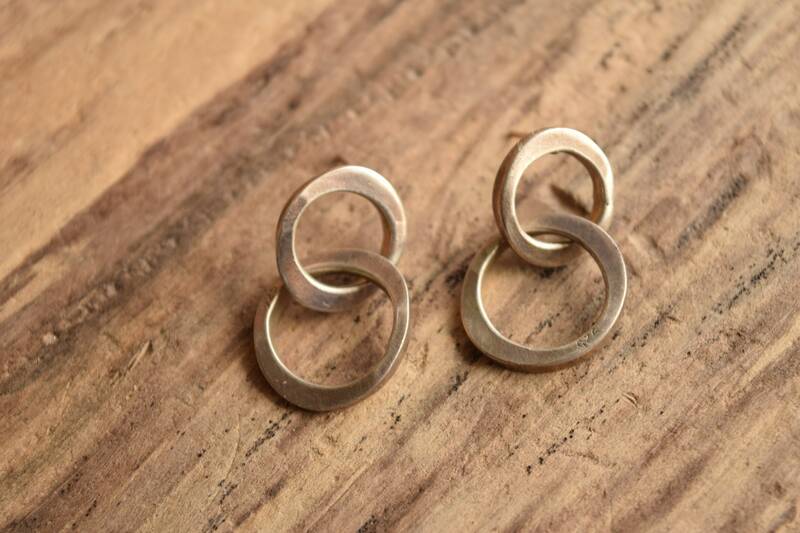 You could easily polish these up or leave them as is.